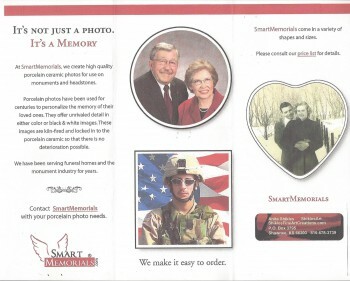 Shikles Fine Art Creations is doing Smart Memorials. These memorials are porcelain photos that are attached to monuments. 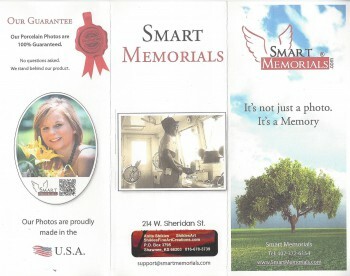 You can scan these with your phone, and get the story of the person memorialized. This is great for Veteran monuments, family tree memorials and other applications. We also have permanent bar codes that can be added to monuments so that family and friends can scan and receive the information. We set up the website for you, and you take it from there. Music can be added as well as messages from family.